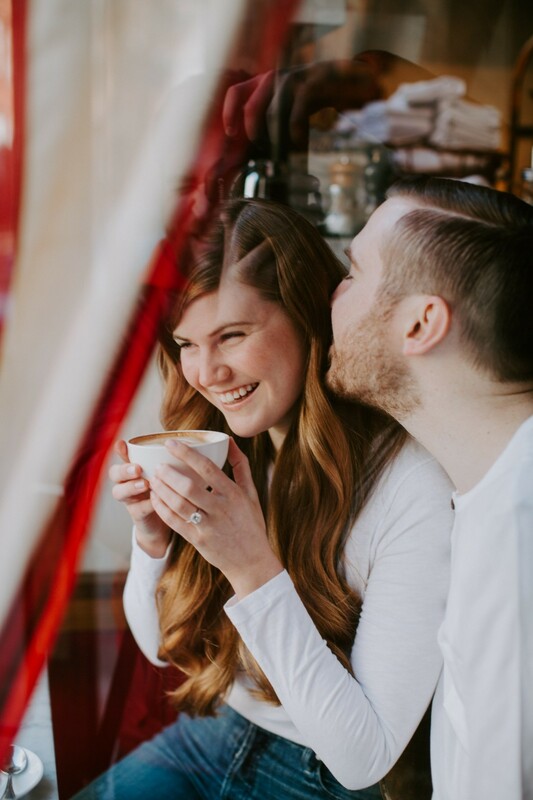 Today I’m so excited to finally share a few of my favorite engagement photos from our engagement session. 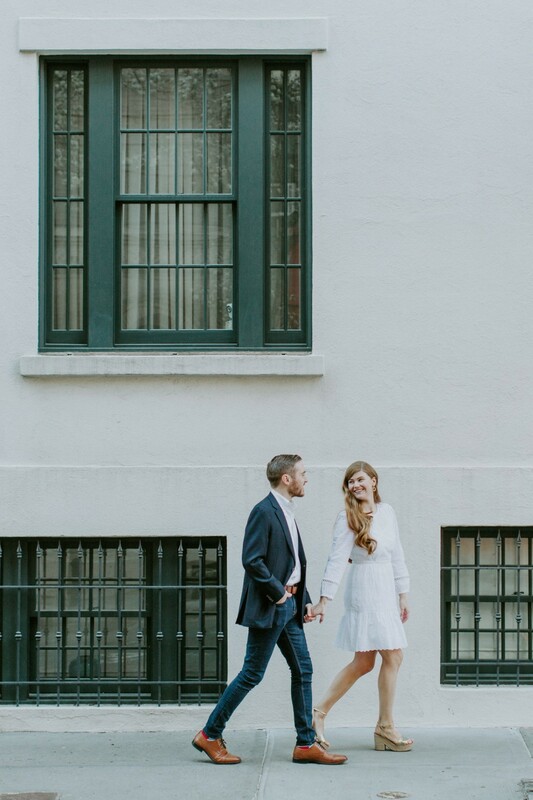 We took these photos back in April around the West Village in NYC. 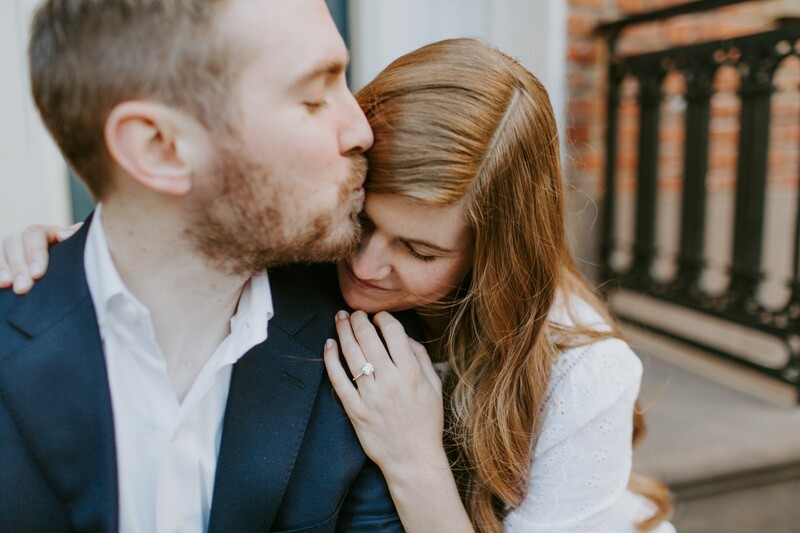 When we shot them, we knew at this point that we would be moving to London (yep – I knew nearly a month before I could share the news with you all!). 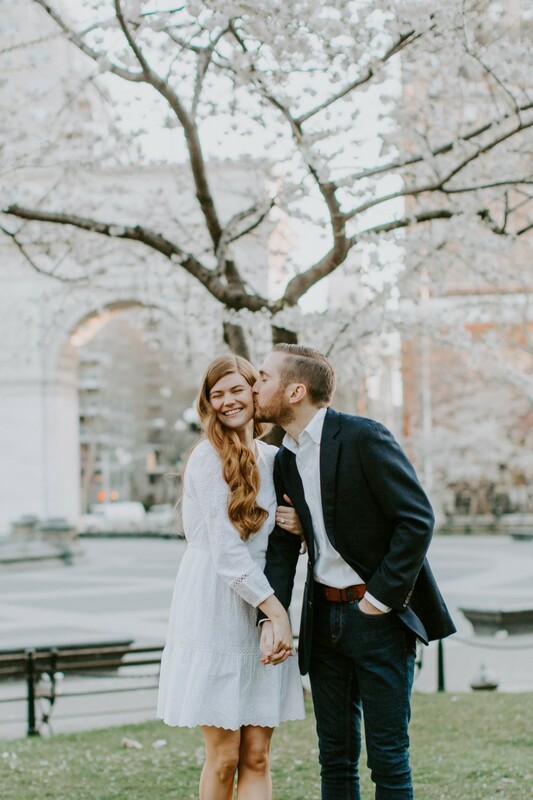 While throwing in an engagement shoot during all of the moving craziness may seem insane, I felt passionately about having these photos taken in New York. I love London (duh! ), but it just doesn’t have the same significance to our relationship as NYC does. It’s where we met, where we first moved in together, and where we will be saying “I Do” come October. It just felt right to have our engagement photos taken there too. I couldn’t be happier with how the final images turned out. It was seriously SO hard to choose just a few to share in this post. 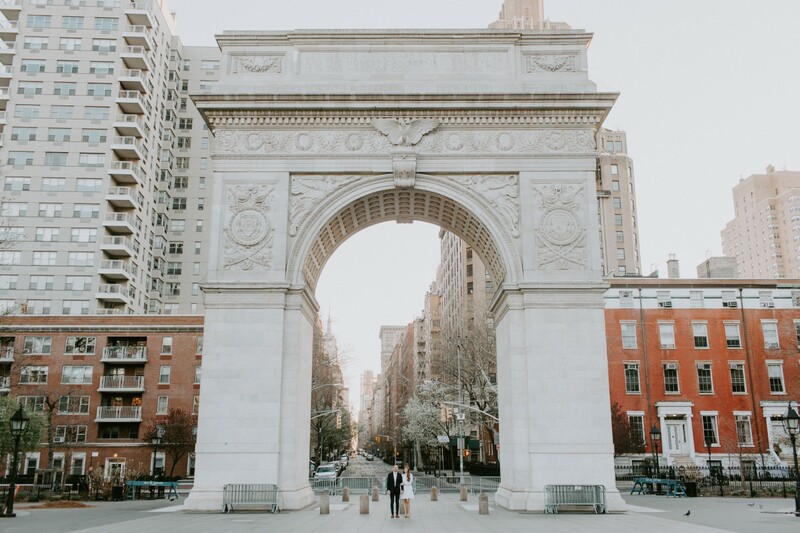 Our photographers, Seth and Nicole of Hyde Photography, absolutely nailed these engagement photos. 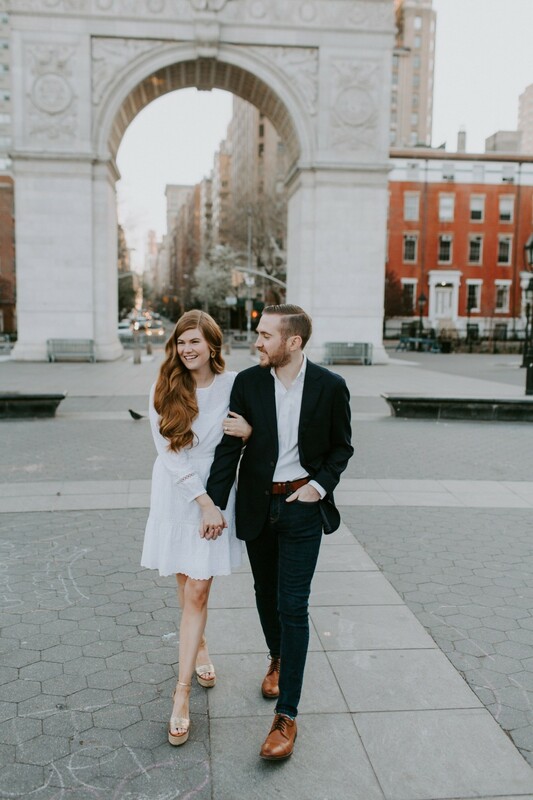 From the gorgeous morning light to their beautiful editing techniques, our engagement photos are everything I could have hoped for and more – I can’t wait to see what they capture at our wedding! 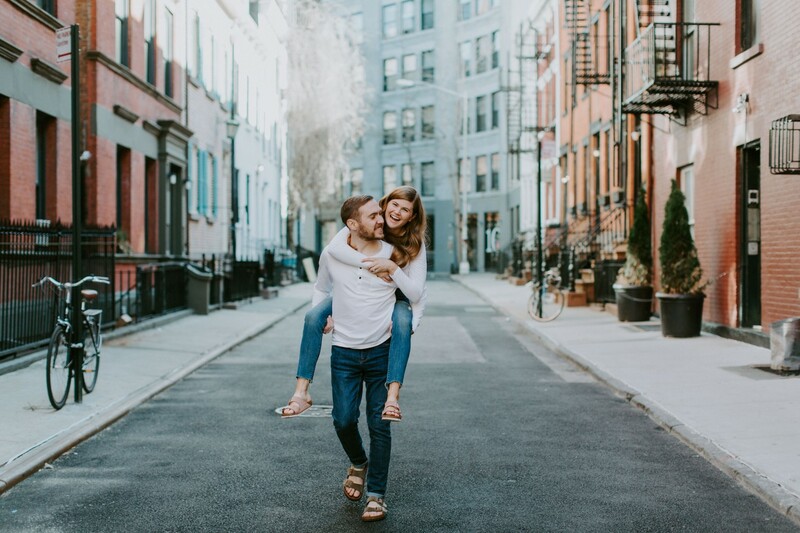 Loving these engagement photos? 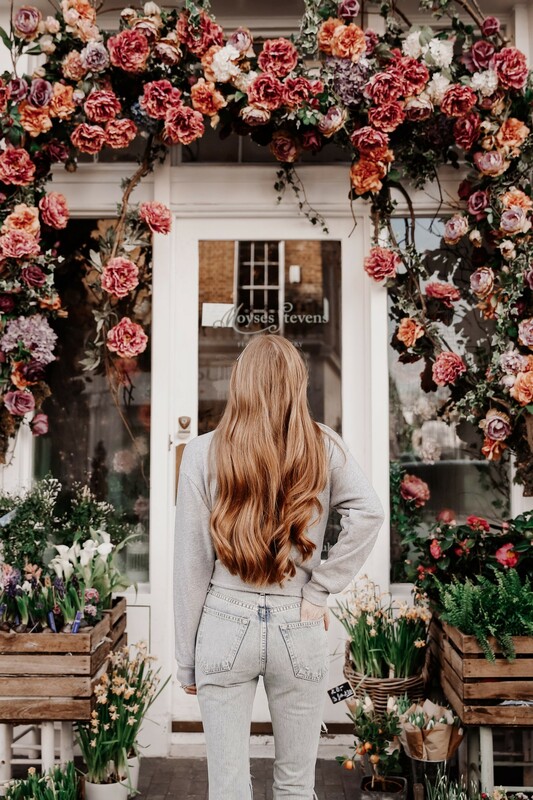 Click here now for more of our wedding planning!! These photos are so so fun!! NYC ALWAYS MAKES A GREAT BACKDROP! The second one is my most favorite! I am absolutely in love with it! These photos are stunning! I love how they turned out! What pretty photos! Congrats on your engagement! WOW .. these turned out great! That second shot is my favorite! THese arw ao beautiful Mollie!! The dRess looks amazing on you! These are perfection! Soo cute! Ahhhh this post is giving me all the sappy wedding feels! I loved our engagement photos and still get misty eyed when I look at them. Yours are stunning! Oh my goodness these are absolutely perfect!!!! So stunning. I’m so happy for you guys!!! Oh my gosh NYC makes a beautiful area to take photos in! The 2 of you in a coffee shop is cute! I can’t wait to see photos of your wedding, your photographers are amazing! Omg, your engagement photos are so beautiful!! I love your outfit too, so stunning! These are so beautiful. They turned out amazing! GORGEOUS!! LoVe these magical, daRling pHotos of y’all. SO in love! !